Thanks in part to modern medicine and treatment, the first person to live to 150 years old may already be alive! With all the advancements made in medicine and health care, one of the most important developments has nothing to do with curing any disease or healing any wounds. Medical imaging services play a vital role in the testing and evaluating of new drugs and other medical devices that are still in the clinical stages. Imaging during clinical trials allows doctors and scientists to not only assess new forms of treatment but to monitor the subtle changes in how the body reacts as well. While medical imaging has been important in being able to identify what is wrong in our bodies – think CT Scans – medical imaging has perhaps been more important to the world of medicine as a tool for research. 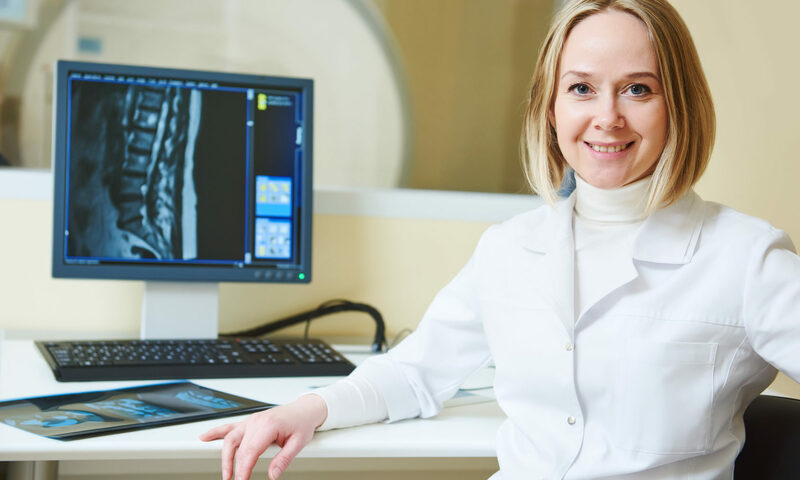 In this article, we are going to look at the roles medical imaging plays in clinical research and find out just why it has become so popular and important. Thanks in large part to the Food and Drug Administration the use of imaging in clinical trials has become widespread. It first allowed imaging to be used as a resource for clinical research 20 years ago. It has since helped to maintain the use and protocols of imaging in trials. In 2004 the FDA rolled out the Critical Path Initiative. The FDA recognized the benefits technology can have in not just the treatment and application of medicine but in researching new medicine. The Critical Path Initiative let technology – imaging services included – safely, quickly, effectively and most importantly accurately predict the results of clinical trials. Never the type to fall behind, the FDA again helped further advance the use of medical imaging in 2011. In 2011 the agency released the Clinical Trial Imaging Endpoint Process Standards. This document helped to standardize the process of using images in research. With a regulated process in place, the FDA made sure that all data gathered through imaging: complied with their regulations, was of a high quality, and lastly, provided a documented account of the research and imaging process. The support, foresight, and innovation of the FDA have allowed the use of medical imaging as a means to conduct studies in the trial phase to flourish. There were over 770 million dollars spent on clinical imaging in 2016. However, while the FDA has helped popularize the use of imaging, medical imaging itself has done its share of heavy lifting. There are many benefits to the practice. Before we dive into what it is used for, let’s look at some reasons why it used. It takes an average of 12 years for new drugs to be approved. Drug and pharmaceutical companies want to speed up and streamline that process. Imaging during clinical research can help accelerate the timetable for a new experimental drug. Often, imaging is being used as the endpoint for these trials and acts as the final word which is why it helps speed things up. Another huge benefit of using imaging is how non-invasive it is. Its non-invasive nature is not only reassuring for the patients but also allows scientists to easily study things that would otherwise be difficult such as soft tissue cells and molecular level diseases. It stores and centralizes data all in one laboratory. While lab costs can get high, using medical imaging in research stores the data digitally in one place and sets easily maintained and followed rules. Now that we covered some of the benefits, let’s move on to how it’s being used for cancer research. While medical imaging services can’t help prevent or cure the disease by itself, it still is an important tool in fighting cancer. Since this article is about imaging and clinical research, we’re going to focus on how imaging is helping to advance cancer care and treatment. Imaging does a fantastic job at being able to track how well a new treatment is working at attacking cancer cells. Because of imaging, doctors are now able to see and quantify the changes to the cell that the new treatment being researched. Using effective medical imaging means new treatments can be accurately assessed quickly. Cancer can spread quickly, but with how fast scientist can now track the progress in patients it allows for a much higher chance that we will be able to get personalized treatment. Without the rise of medical imaging being used in clinical research, we still may be waiting for some of the drugs that have hit the market in recent years. Medical imaging has become an endpoint in research and has dramatically sped up the research process pharmaceuticals go through. When it comes to cancer treatment, imaging has been even more important. Before imaging, doctors and scientists weren’t able to see the small, but profound effects that potential cancer treatments can have. Thanks in large part to the FDA and their guidelines and protocols, the world of medicine will continue to progress. The Food and Drug Administration were one of the first organizations to realize the potential that medical imaging held. The medical imaging market projects to grow up to 8% in the next 5 years. That means there are going to be more new drugs tested, more cancer survivors, and countless images stored in labs across the globe. Visit our blog to learn more about the ever-evolving health and medical fields.